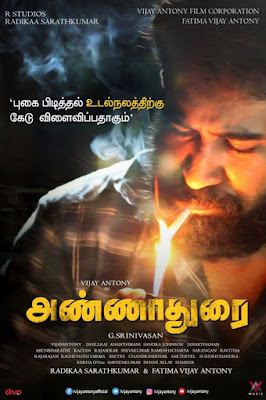 Annadurai is a 2017 Indian Tamil language action family drama film written and directed by G. Srinivasan. The film is produced by Fatima Vijay Antony and Raadhika Sarathkumar and music composed by Vijay Antony. The film stars Vijay Antony, Diana Champika, Mahima and Jewel Mary in the leading role. It is scheduled to be release on 30 November 2017.